Chiropractic history is an intriguing story steeped in controversy and dotted with colorful characters. Since its origin in the late 19th century, it has been beset with attacks and challenges. 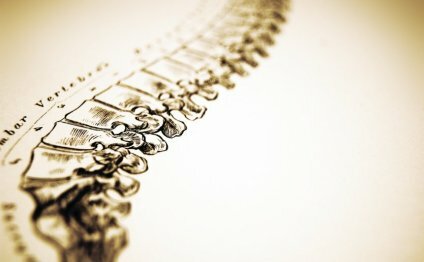 These came both from chiropractors themselves as they struggled to define chiropractic's path and from those outside whose intent was to suppress its contribution to the evolution and growth of American healthcare. Chiropractic began in 1895 when its founder, Daniel David Palmer, claimed the cause of any and all disease could be removed by-and needing nothing more than-his hands. The name given to this new profession became its identity. As stated earlier, chiropractic means "done by hand" and throughout its evolution the profession has struggled with justifying any departures from this fundamental principle of delivering care. Spinal manipulation was not an unknown treatment in 1895, and Palmer never claimed to be the first to use manipulation for the cure of disease. He did claim, however, to be the first to use specific contacts as short-leverage points for making more specific spinal "adjustments." Harvey Lillard was the name of D.D. Palmer's first patient, and an adjustment reportedly curing Lillard's deafness is regarded as the seminal moment for the new profession. D.D. Palmer established his science, art, and philosophy of chiropractic and started a school called the Palmer School of Chiropractic in 1905. Many of his first students were medical doctors exploring this new profession. This early period in the history of chiropractic was a time when many new methods of healing were being explored. What were the issues between chiropractors and physicians? Chiropractic's earliest years witnessed a great deal of tension between conventional allopathic medicine and this new chiropractic approach. Between 1873 and 1899, each state established statutes to practice medicine. But there were as yet no statutes to practice chiropractic. This put chiropractors at risk of arrest for practicing medicine without a license. But despite opposition from allopathic medicine, states also began enacting chiropractic licensure statutes in 1905, largely due to the demands for care made by chiropractic patients. This process of chiropractic licensure in all states was finally completed in 1974. But all the while, licensed or not, chiropractors continued to work as the public demanded. Many chiropractors practicing in states where chiropractic licensure laws were yet to be enacted defiantly opposed the medical statutes they regarded as an infringement of their rights and obligations to serve their patients. Until the 1950s and 1960s, it was not uncommon for chiropractors to be jailed and fined. The more recent professional cooperation and mutual appreciation between chiropractic and conventional medicine lie in stark contrast to many years of discord. Cooperation and the collaborative care of patients are now quite common.